If you've spent time auditioning the rapidly growing range of sample-based instruments created by 8Dio, you'll be in no doubt there's an emphasis on the cinematic. From deep-sampled orchestral instruments to the atmospheric, edgy timbres of modern devices, sampling stuff for soundtrackery appears to be the company's calling. 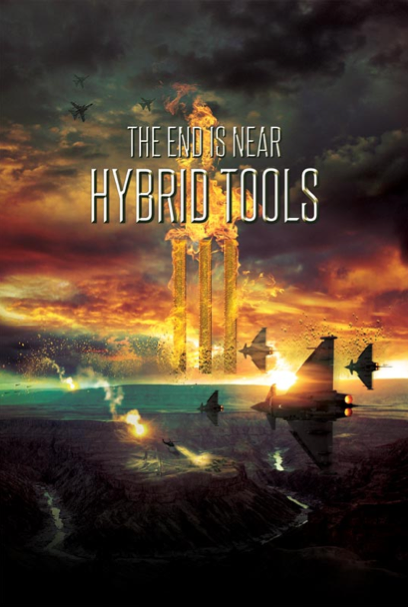 And Hybrid Tools 3 is a 4.5GB Native Instruments Kontakt 4.2+ (full) collection of what the company does best. Kind of large-sounding, don't you think? 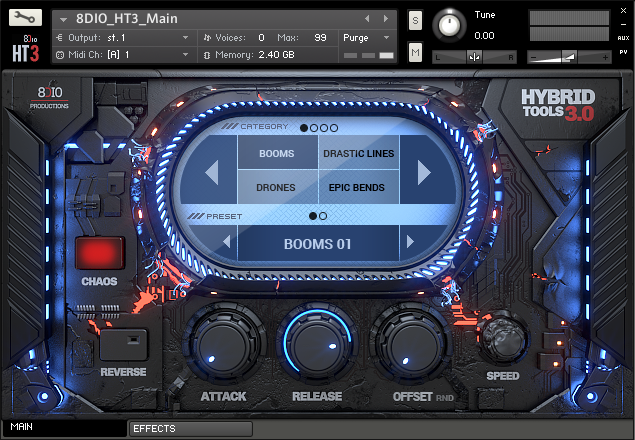 The developer's taste for 3D eye-candy extends to a slick interface design behind which lurks more than 2,100 slices of sound design in 16 classes, all accessible via the mini-browser screen so you don't have to go hunting through drop-down menus. 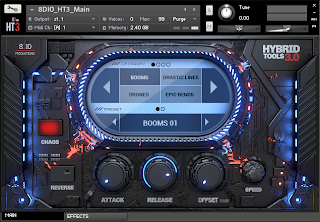 You'll find myriad drones and risers, booms and whooshes, plus pulses and rhythmic figures that can be locked to the host DAW's tempo, their measures set via a Speed knob. Note the usual Attack and Release rotaries, as well as two utterly splendid inclusions that should juice the most arid of GAS glands: Reverse and Chaos. Reverse does as it suggests and virtually doubles the number of patches available (it seems odd to refer to sample-based instruments as 'patches', but y'know...). Naturally, not all benefit from reversal, but many take on very different characters, with booms becoming swells and risers becoming... fallers? 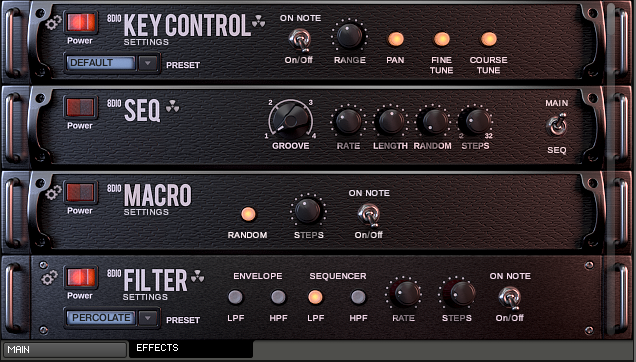 Whatever, judging by the seemingly universal approbation of Kontakt-based Output REV ($199) recently, reversers appear pretty popular, so it’s good that 8Dio overcame an initial aversion to going backwards. As long as you’re careful with timing, reversed envelopes make for great drama. The huge jolly, however, is Chaos, a dab of which can randomise more than 1,500 parameters for 'instant inspiration' appeal that turns preset-hopping dweebs into (faux) deep-programming spods in a trice. Not every sound delivered by clicking the Chaos button is going to be usable, but who cares when another click may do the trick? 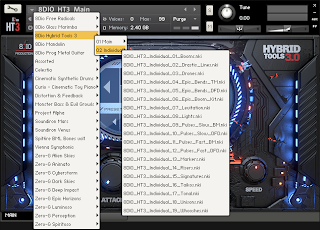 As you'll have noticed, several HT3s are open in one instance of Kontakt, each addressed on a different MIDI channel as usual. 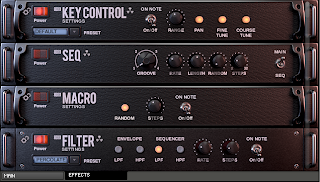 In the example given, their output is routed to a stereo pair, but each is game for assignation to separate mixer channels within the DAW for maximum audio-processing control. And did you cop for that rack of effects? Big. That'll be the dev's 3.0 FX Chaos Engine (a product of more than 80,000 lines of custom code - quite a lot) which the Chaos button deranges. The layout is neat and clear, which is good news considering the range of processing options available. 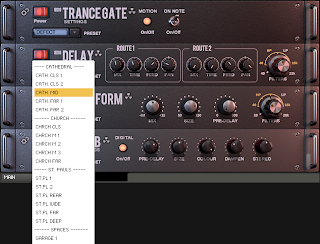 We’ve a step-sequencer, dual convolution reverb, dual delay, bit-crushing/distortion, trance-gating, EQ and filter (with built-in sequencer) sections, key control (volume, pitch, pan, keyboard mapping), and if that's not enough, a module called, simply, Transform. This latter is a weirdness by which impulse responses from certain sounds are mapped onto the selected sound for hairy results - ie, you’re never quite sure what you’ll get, but they usefully expand one’s palette. That’ll be Chaos and Reverse lightly skimmed with a dollop of 3.0 Chaos FX afroth, offering an idea of how speedy is the workflow. Decent speakers give a good idea of how solid the core sounds are, albeit that they're funneled through YouTube compression. In FellKlang’s product-test facility, the Fell Surgery, HT3 used undiluted by audio compression (or, more properly, data reduction) sounds as massive a creature as you’re likely to encounter in movie soundtrack land. The monitors' low-frequency emitter (LFE, or subwoofer) perturbs the bowel while air-space is super-clear, free of clouding artefacts. A good job too, bearing in mind this library is, in part, destined for airing in cinema theatres with their seat-shaking bottoms, dialog-critical mids and crisp highs. Provided, that is, you’re watching in a well-appointed cinema that’s reasonably free of acoustic abomination. 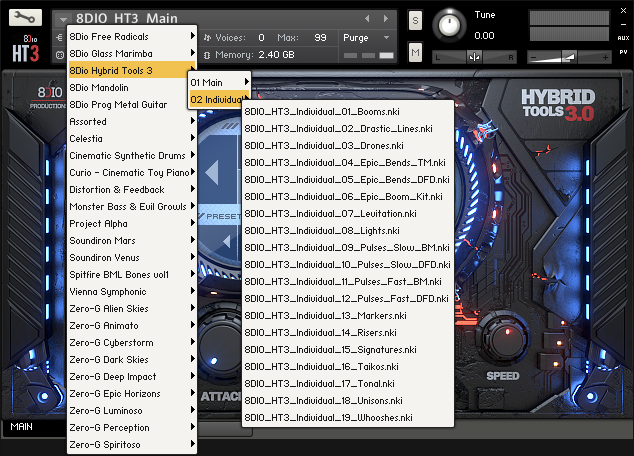 8Dio Hybrid Tools 3 raises the bar for cinematic sample suites, such is its flexibility. This is more than a collection of impressively captured WAVs, although the open format of the core library, complete with metadata tags for interrogation via database engine, means it can easily be used as such. 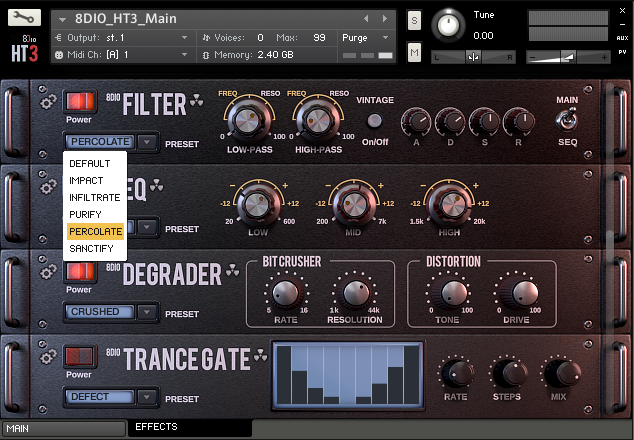 However, the performance tools ramp up sound-design potential impressively. It does not offer that much scope for in-sequence MIDI control from the DAW, beyond the usual control changes you’d use to drive Kontakt, and Reverse is inappropriate to some sounds - a graphic of a broken Reverse button appears when 8Dio concurs with this. Nevertheless, the feature is immensely useful for a good many of the basic tones. And the FX engine enables you to build wild, adventurous timbres and performances from the basic soundset. The Chaos feature might as well be labelled ‘Inspiration’, because that’s what it delivers, and in appreciable gobbets. HT3’s tagline is ‘The end is near’, but such is clearly not the case. It opens up fresh, ear-wateringly impressive vistas of sonic exploration for those with a yen to bring movie-trailer-esque power and drama to their songs and soundtracks without having to secure a Hollywood-sized budget.